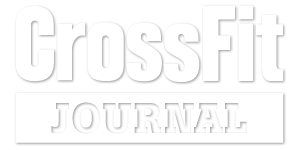 CrossFit is Functional Movements that are Constantly Varied, performed at high intensity. It’s a training methodology, developed by coach Greg Glassman who had the merit to redefine fitness and make it measurable. Through this metodology, the athlet has a concise and objective way of measuring his evolution. This can be achieved in acquiring a new skillor learning the efficiency of anymotor pattern. Before intensity comes the quality of execution. In CrossFit Mondego the athlete will find the environment that leads him to excelency . Only then will he reach the consistency that we recommend and the results seeked. At CrossFit Mondego we focus in your sucess. Each athlete is followed with a individual diet plan (suited to personal goals and based in a physical assessment) and complemented with monthly physical assessments.